Lance gets enough media coverage, we don't need to see him here, too. IIRC Titanal is an aluminium variant. The name is probably something marketing giving you the impression, it would be titan like. Again IIRC, titanal frames tended to brake and the material vanished from bike building eventually. Currently, lither, stiffer, longer living - just better - aluminium frames are built from fairly pedestrian aluminium variants. I've just stumbled upon your blog and am now binge-reading it. 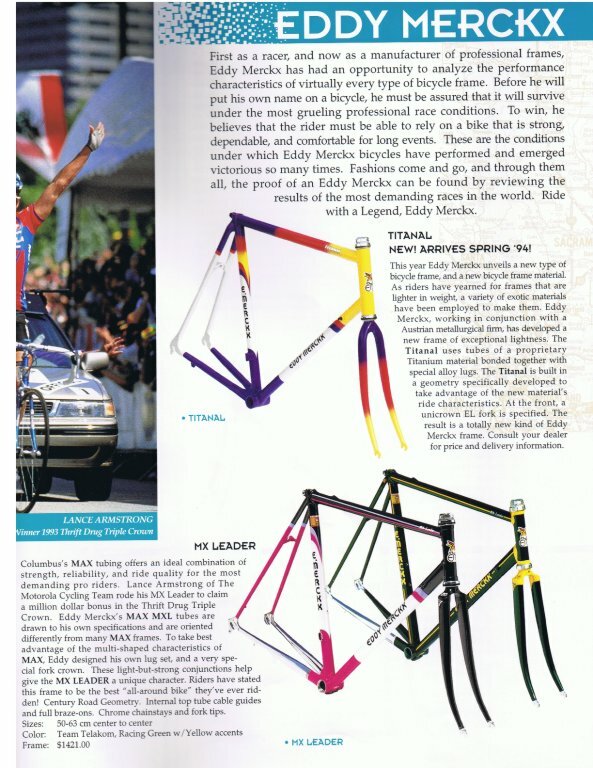 The late 80s and earyly 90s are my favourite epoch in terms of bicycle technology, as well. Ive recently rebuilt my 1991 Schwinn Aluminum 354, which was rotting in my parents' garden using 1987-1990 Shimano Ultegra parts; I still love that bike for its handling. Tirana is a trademark of an Austrian company for an aluminium alloy that contains 0.25% titanium. It's one of the strongest aluminium alloys, but apparently also quite brittle, resulting in lits of cracked frames. Since it's not easily weldable, bicycle frames are made from tubes bonded to aluminium lugs, similar to the first carbon fiber frames (Vitus, Cadex etc.). 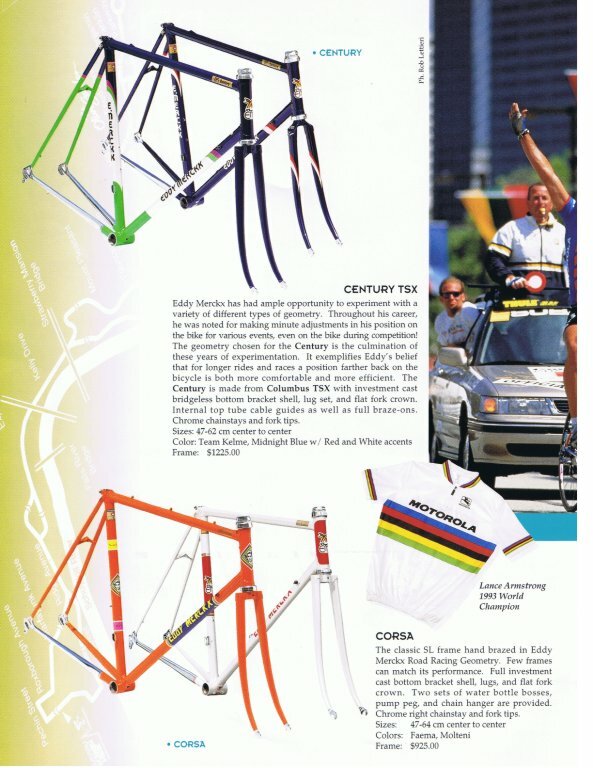 The top of the line road and mountain bikes from German manufacturer Hercules (which seems to have been part of Sachs) were made from Titanal in 1993 and/or 1994. Nowadays, it's quite difficult to find an intact frame. And thus autocorrect strikes again.. It's supposed to be "Titanal", not "Tirana".